Book review: "Bringing up Bebe"
My parents visited this weekend, and it was a whirlwind weekend of visiting and eating. Jeremy and I pulled together brunch Saturday morning of muffins, an omelet for many and a platter of fresh fruit. Preheat oven to 375 degrees. Spray muffin tin. Stir flour, baking powder, baking soda, cinnamon, nutmeg and salt together in a large bowl. In a separate large bowl, stir the sugar, butter and eggs together. Stir in the pumpkin puree, milk, and raisins and pour into the bowl with the flour mixture. 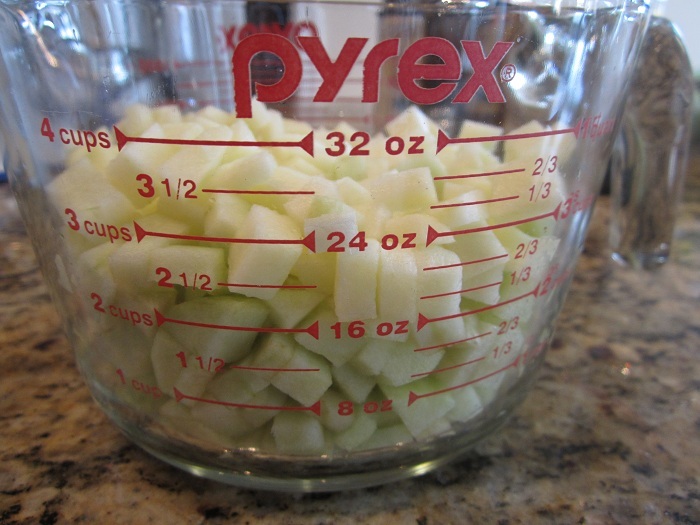 Stir until the dry ingredients are just moistened; do not overmix. Using a 1/3-cup measure or ice cream scoop, scoop the batter into the muffin tins. Bake the muffins on a center rack for 25 to 30 minutes, until a toothpick inserted in the center of a muffin comes out clean. Earlier this year, my family and friends participated in the March for Babies walk along Chicago's lakefront. I am not sure how, but this connected me directly to the executive director of the Chicago office of the March of Dimes. I started receiving emails from her and I found myself volunteering to serve on the host committee for a reunion of NICU families, doctors and nurses at Prentice Women's Hospital at Northwestern Memorial. Today was the reunion. I was there early and chatted with my fellow volunteers. The other mothers and I told our preemie stories in stats - how many weeks gestation, how many weeks we were in the NICU, and how old our children are now. And I realized I was a bonafide member of the family-centered care committee now for the NICU at Prentice, a volunteer opportunity I will surely relish in the coming months. It's a pretty good day in my book when I can thank and hug the NICU nurses who provided loving care to Jossie. One of our favorites, Juanita, was as excited to see us as we were to see her. She held us up while we were in the NICU - she encouraged me to stay home for my safety during the Chicago blizzard and she was there to discharge Jossie on her last day in the NICU, tightly rolling up blankets to put in Jossie's car seat to keep her snug. She has a set of twins who were born at 34 weeks, so she gets it. It is no secret that I was pretty sad after Jossie's birth. It was part-baby blues and part-this lack of control of my baby's birth. Perspective and time have allowed me to move on. And I'm so glad I have. I'm so glad to be here, given an opportunity to share my grateful thanks to the doctors and nurses and to lend a helping hand to new NICU families. And my kids are healthy. I feel so fortunate. I admit: My parenting style is a weird hybrid of working-outside-of-the-home mothering and attachment parenting. 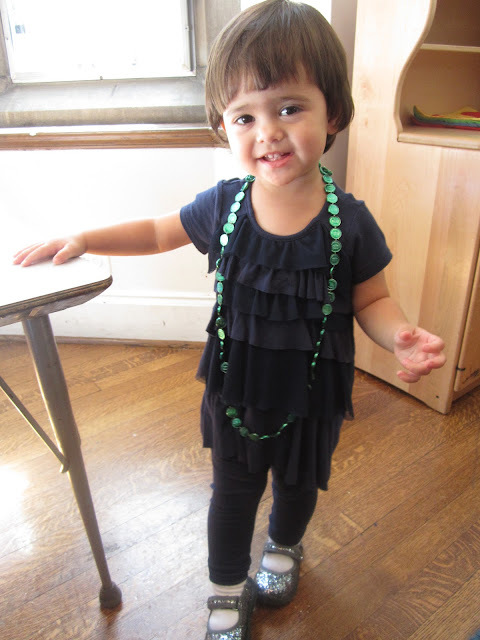 This week alone, I left two mornings before the kids awoke and I discovered that Jossie calls Maria "Mommy." And then there's my other side - I nurse Jossie still; Jack sometimes sleeps with us; and I baby-wear. Parenting is messy. This is no perfect equation. I just finished a good book that gives one viewpoint on parenting called Bringing Up Bebe: One American Mother Discovers the Wisdom of French Parenting by Pamela Druckerman. And since it's two weeks overdue at the library, I thought it was high time I shared my thoughts with you on this good read. The author is an American living in Paris, and the book details her observations on French parenting - mostly those of educated Parisian parents. This is not a how-to guide book to parenting - it's a collection of observations with supporting research and humorous anecdotes. 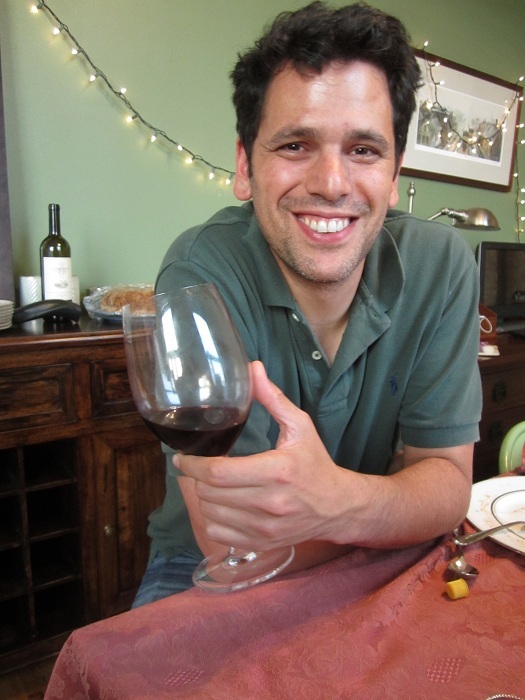 My favorite idea was that "...autonomy is one of a child's most basic needs." (p. 256) The Parisians give their kids a sense of responsibility and ownership of their own feelings, starting at a very young age. They guide their children but don't do everything for them. And from infancy on, there is an emphasis on strict sleeping and eating guidelines. There are few kids' menus in French restaurants, the author observes; children to learn to eat what their parents eat. I also liked the idea of parents still remembering they are individuals and are emotionally separate from their kids. Kids will have disappointments in life, and we can't always be there to make it right. But we can give them the right tools to be sage (French term for wise) to rely upon themselves. Maria, one of my personal parenting gurus, always says that you if you set expectations for children, they will rise to them. This book speaks to that - expect more and you will get more. This book details the respect had for Parisian children as individuals, even from an early age. They believe that this respect and trust are recipe for a happy life. This book has a lot more - details on letting children explore new things and take classes so to not to get a higher SAT score but to discover the pleasurable things of life. There are also thoughts on publicly provided childcare, giving mamas more opportunities to balance work and family. This book is not the end-all in parenting, but it's a good read. You can never have too many perspectives on parenting, no? 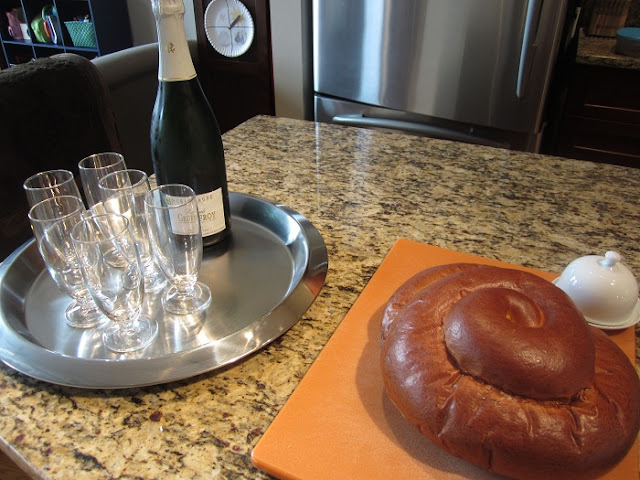 Mise en place is a French term, meaning "everything in place." 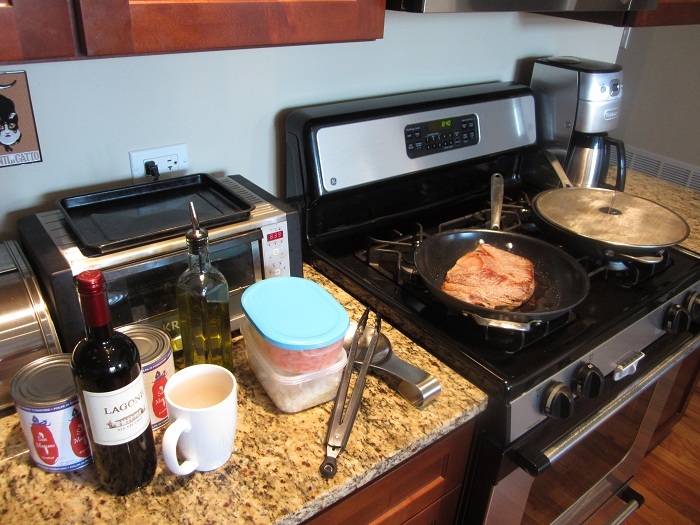 It refers to having an organized kitchen before you begin cooking - tools set out and ingredients prepped. 8:39 a.m. (depending on which clock you're looking at in my kitchen) Brisket is searing. Jeremy tells me I'm my most beautiful when I'm searing beef. 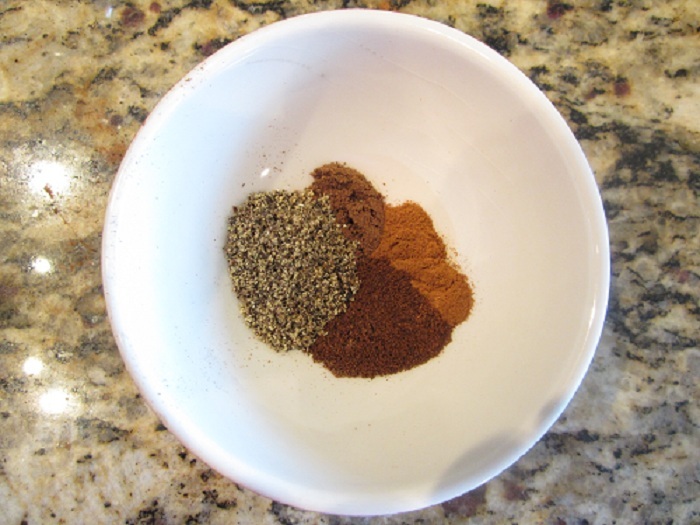 8:44 a.m. Spice mixture of freshly ground black pepper, allspice, cinnamon and cloves is ready to go into the brisket sauce. 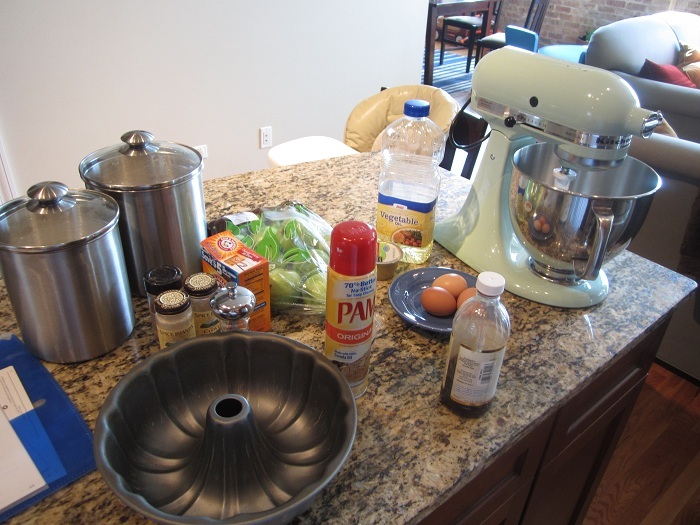 9:32 a.m. Apple cake preparation is underway. 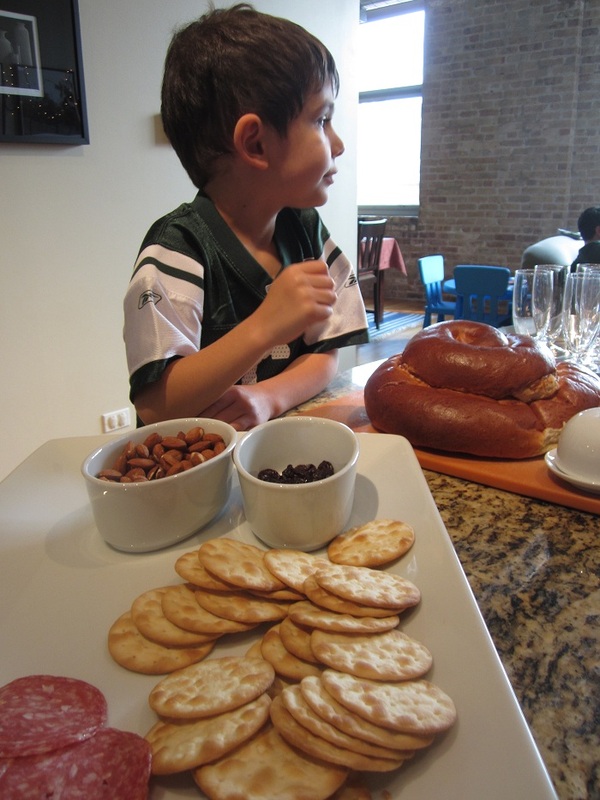 9:37 a.m. Jeremy takes both kids to Red Hen Bakery in Chicago's Bucktown neighborhood to pick up a beautiful challah. 10:06 a.m. Three cups of apples are chopped. 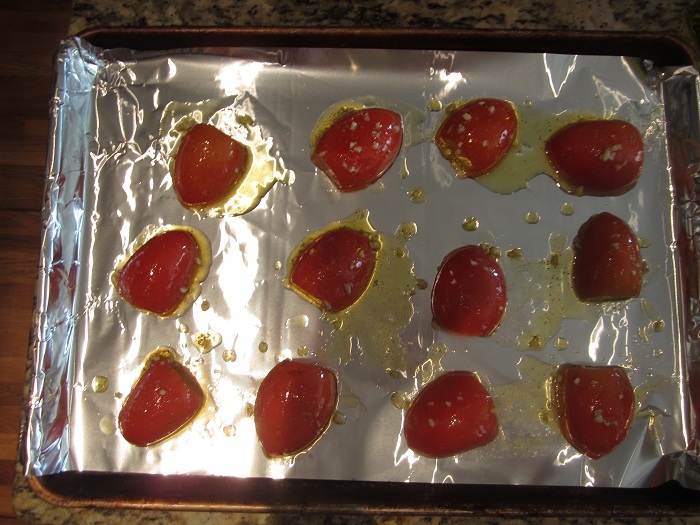 11:26 a.m. Roma tomatoes are ready for 2 hours of slowing roasting in the oven (recipe below). 11:55 a.m. Children and Daddy return home. Kids are hungry for lunch. 12:15 p.m. 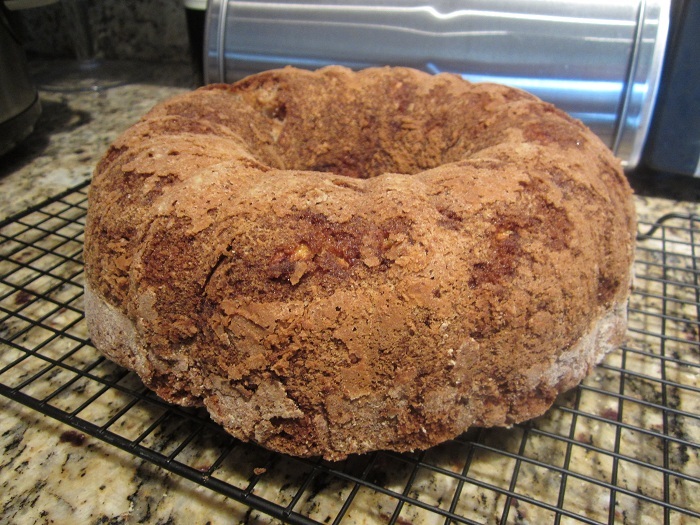 I successfully get the apple cake out of the bundt pan. 4:02 p.m. 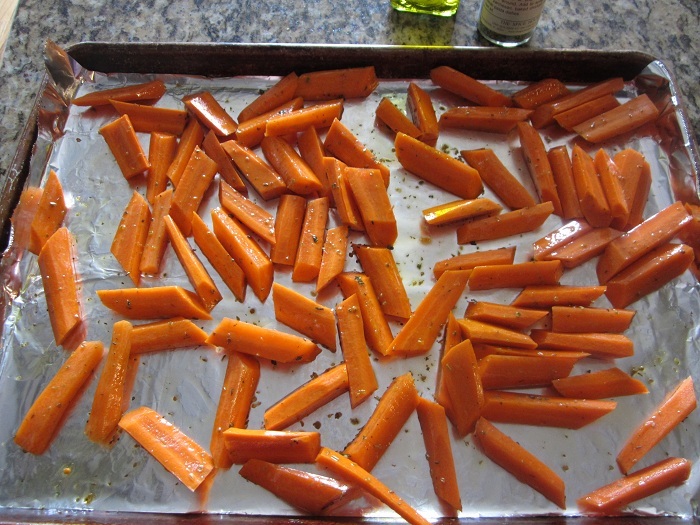 Carrots are prepped. Chop and toss with olive oil and Italian herb seasoning. Roast at 400 degrees for 30-40 minutes. Seriously easy and yummy. 4:46 p.m. Bubbles and champagne flutes are set out to celebrate the new year, alongside our challah. 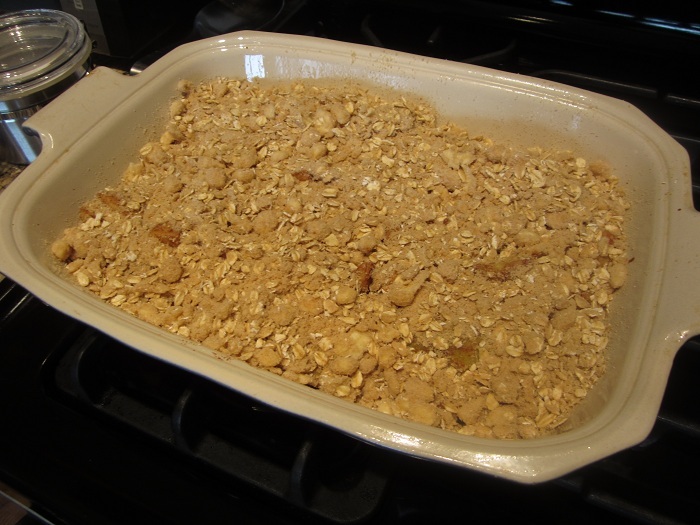 4:57 p.m. Apple crumble (recipe below) is ready for the oven. 5:06 p.m. Jack awaits our guests. 5:45 p.m. Guests have arrived and are chatting. 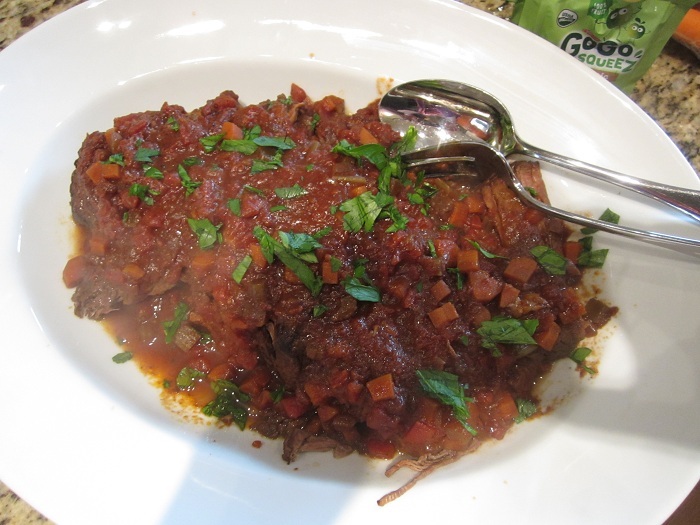 The brisket is plated, with a handful of chopped flat-leaf parsley as garnish. 7:02 p.m. One happy husband. 9:14 p.m. Our guests have left. The kids are in bed. Everything in the kitchen is decidedly out of place. But I've hung up my apron for the night; the dishes can wait until the morning. Good night! Preheat oven to 250°F. Line large rimmed baking sheet with foil. In large bowl, whisk together remaining 1/2 cup olive oil, vinegar, remaining 1/4 teaspoon salt, and remaining 1/4 teaspoon pepper. Add arugula and tomatoes and toss to coat. 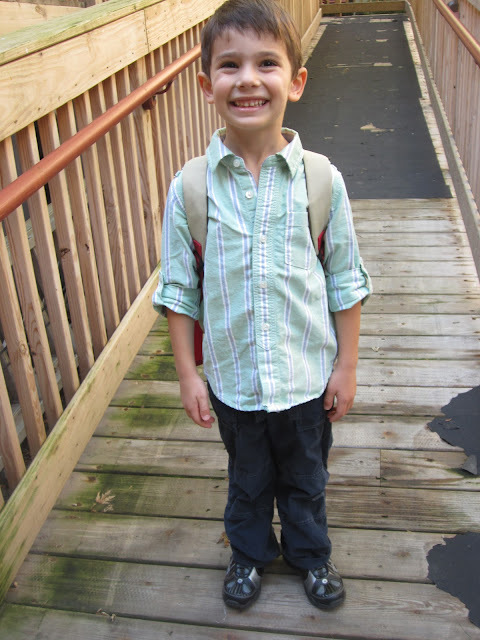 Today was Jack's first day of his second and final year of preschool. The class we attend is a mixed-ages classroom, and Jack is one of the big kids this year - I believe he is the oldest (and tallest!) boy. 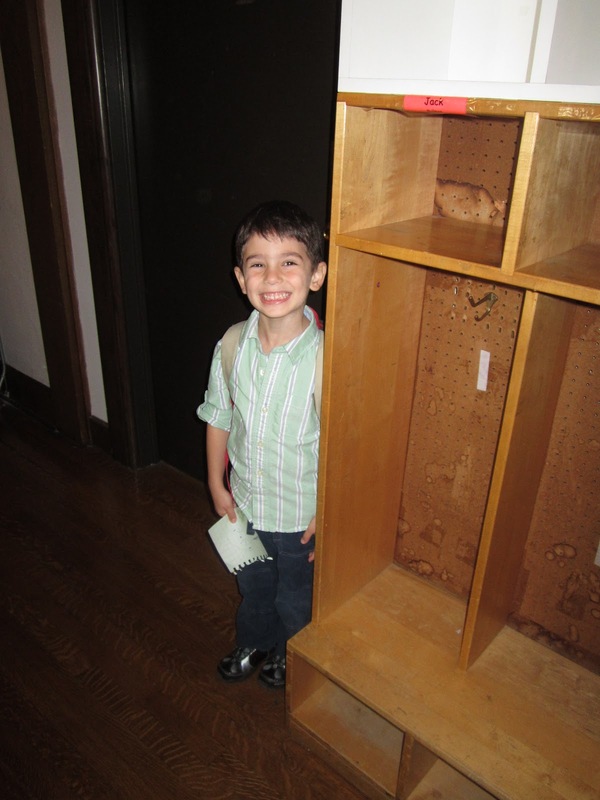 Many of our dear boy buddies have moved on to new schools this year, so I was wondering how Jack might do. He did fine, and I think it was a relief to him to be with his same teachers, same room and same class bunny, Hopsy Cabbage. One of the best things about being a mama is making a big deal about holidays, birthdays and special days like today. After a breakfast of bagels that Daddy got up early to buy, we headed out the door to enjoy what was more an open house for the preschoolers. Little sister Jossie made her appearance too at today's open house and loved it, playing with the kids and sitting on the rug during circle time. One of Jack's preschool teachers declared her 20 months going on 5 years old. Watch out, world! This morning I woke up in the middle of my bed, surrounded by my boys. Jeremy was to my right; my 4-year-old Jack was to my left; and Roscoe the cat was sleeping across my legs. I need some space, I thought as I climbed over Jack to go take a shower. I've been thinking about that a lot lately. Jeremy and I are living in the same 2-bed, 2-bath condo we bought as newlyweds. Seven and a half years later, we've had countless dinner parties, a few good holiday parties, two babies born, accompanied by a mountain of baby and kid clothes, toys and gear, and one renovation project in this place. We listed once but did not sell. So here we are. We love our condo for many reasons - it's good to be on one level with little ones; the laundry is right across from the kids' room; we have an amazing view of the skyline; my kitchen is big enough for me to do some damage; and our place is ridiculously close to our work (seriously, door-to-door for me can be as little as 20 minutes). And we have a brand-new park that is within a 10-minute walk. Jeremy and I are thinking about the when, where and how of our next steps, and it's nice to have the beginnings of a plan, even if it's not imminent. 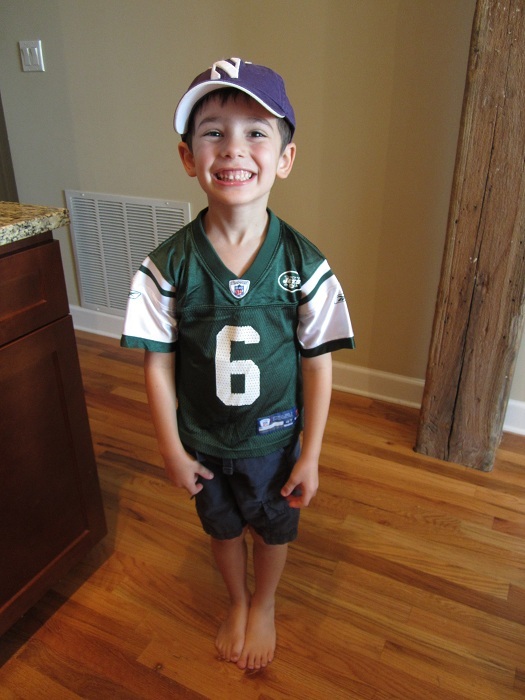 A yard, a neighborhood that is kid-friendly, a room of his own for Jack are my dreams. In the meantime, I continue to work with the space we've got. My parents and best friends store some of our things. This weekend, I donated five bags of clothes and housewares to the Salvation Army, and I have eight plastic bins of neatly folded kids' clothes stacked in our room, in hopes my parents will be willing to take them home when they visit in a few weeks. Living in a city has helped me to be creative with space. I think about my space outside of the home. You get a front-row seat to all of humanity, living in Chicago - especially if you ride public transportation. Sometimes the train is so packed, I feel like I should buy the person next to me dinner. And I went to church for the first time in awhile yesterday. My church is a beautiful old church with a breath-taking chapel. The hallways around the chapel, however, are small and dark. As I was leaving church, I got stuck right behind a homeless man. Faith is put to the test - it's hard to love thy neighbor when the body odor is overpowering. My work deals with protecting natural open spaces. These spaces range from a city neighborhood lot to 19,000 acres of prairie in the Chicago region. Work has taught me that space for nature is important, but lots of space is not required. It can be a vegetable garden at a school or a tree-lined boulevard, and it can still be important. Space is good. Quality space is even better. Okay, so maybe I didn't want to reach out and give the homeless man a hug yesterday morning, but I do see the problems of real-life right in front of me. And I'm offered solutions. I can look at the church bulletin in my hand, where at least three different opportunities are given to me to volunteer to help right here in these dark halls. And the train? Well, it's hard to get poetic about a jammed rush-hour train. But people are headed to jobs and they are using public transit, and that's all good in my book. The family bed? I've made that bed, so I might as well sleep in it. Jeremy, our kids and I don't even know better at this point. And I'll enjoy those cuddles while my babies are small. One of my friends told me once, it doesn't matter the size of the house, it matters what happens inside the house. Quality space - to share, to love, to dream. I'm glad I have mine, and I wish the same to you. Preheat oven to 350 degrees. Lightly grease baking sheets and set aside. Cream together butter, brown sugar and granulated sugar in a large bowl with an electric mixer until light and fluffy. Add the eggs to the butter mixture one at a time, beating well after each addition. Add the vanilla and beat until well blended. Combine flour, oats, baking soda, cinnamon, nutmeg and salt in a separate bowl. Stir dry ingredients together with a whisk. Add flour mixture to wet ingredients and stir just until the dry ingredients are moist and blended. Do not overmix. Mix in chocolate chips. Scoop dough with a 1/4-cup ice cream scoop or by a heaping tablespoon and drop onto the prepared baking sheets about 3 inches apart. Press the cookies flat with the back of a spatula. Bake 12 to 14 minutes for soft, chewy cookies; 15-18 minutes for crunchy cookies. Enjoy! While I'm ready to usher in a new season, I also have moments where I wish I could just preserve time. My 4-year-old Jack told me today he wants to go to Lego camp and he wants me to be his girlfriend. Can we hit the pause button just for a bit? Happy week ahead!